1. MOST CLICKED LINK: The Habitat Cardigan by Make & Do Crew – This gorgeous sweater is easy enough for beginners – and it’s a FREE crochet pattern! 2. Cozy Fireside Cardigan by Nana’s Crafty Home – This pattern makes a flattering and warm long sleeve cardigan using the granny stitch – and it’s a PAID crochet pattern! 3. Wrap Me In Diamonds by Stitching Together – As a wrap or a scarf, you’ll love this fancy looking but simple stitch – and it’s a FREE crochet pattern! 4. EasyFit Fingered Gloves by Made for You by Fi – Full written and pictorial instructions are included – and it’s a PAID crochet pattern! 5. Oslo Cowl by Kiku Corner – Designed to keep you warm for a Nordic winter – and it’s a FREE knit pattern! As usual – a great link up with so much inspiration! Thank you! I’m always so honored to be included in this mix. Thanks for featuring my pattern! Thank you for a great linkup party. I haven’t visited you for a while – making an effort to visit great sites more this year !! WOW Kara! 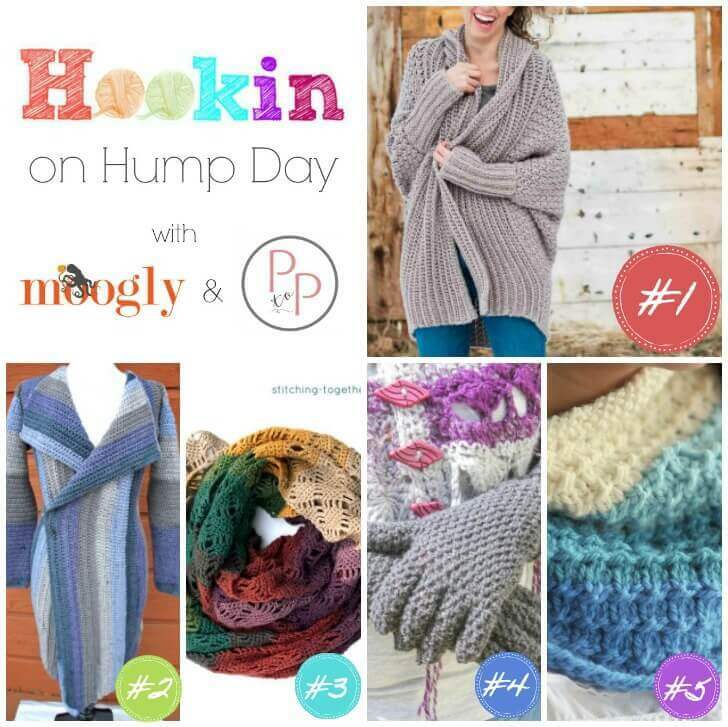 I’m honored that my EasyFit Fingered Gloves pattern is in this amazing group of garments! To say thank you to those who voted (and those who visit now), I’d like to offer $1 off the pattern using code ‘FINGERS’ until 30 January 2018.